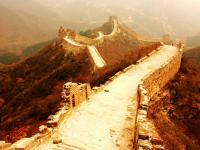 Simatai Great Wall – Top of the 25 most unmissable tourist attractions in the world. 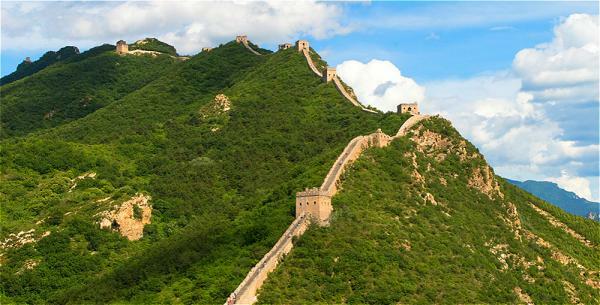 Unlike the Badaling and Mutianyu sections of the Great Wall, Simatai section is more authentic, which can be said as the most unique one. 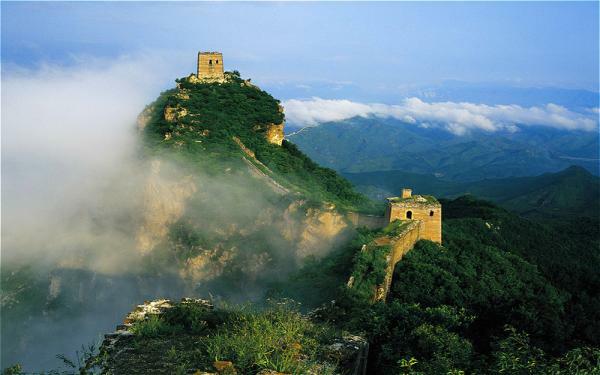 Simatai Great Wall locates 120 km northeast of Beijing, stretching 5.4 km on the steep sections of the YanShan Mountain, densely dotting with 35 watchtowers. 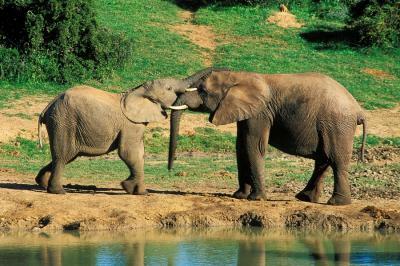 It is well known for its wildness, magnificence, danger, awesomeness, strangeness, ingenuity and diversity. It holds a strategic pass of the Great Wall: the access to GuBeiKou. 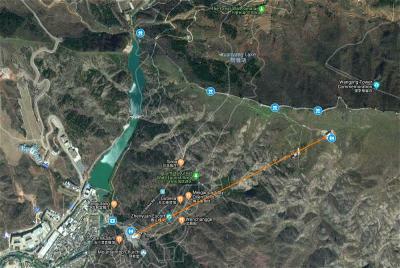 Diversification dramatically reflected in the structure of Simatai Great Wall: single, double and trapeze forms of wall, flat or domical shape of the tower roof, many unmatched places among other sections of Great Wall. Simatai Great Wall was firstly built in the first year of Emperor Hongwu of Ming Dynasty, and largely reconstructed and strengthened under the supervision of the famous General Qi Jiguang and the local governor Tanlun. Until then, it became a strong border defense line. 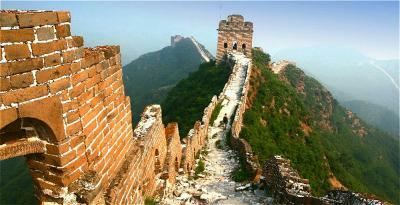 In 1986, the protection project of Simatai Great Wall was carried out. And the theme of this project was keeping the Great Wall’s original look as it is which could bring us a real feeling of historical vicissitudes. Simatai Great Wall is separated into east and west parts by the Mandarin Duck Lake. The west part is relatively gentle while the east part with 15 watchtowers on the 1000 m high peaks is steep, rugged and precipitous. So remember to take Strong shoes. The most dangerous part in the east are 'Heavenly Ladder' and the 'Sky Bridge', they can make even the bravest guy tremble with fear. 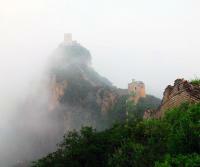 People who like taking risks and seeking for adventure will be undoubtedly crazy for Simatai Great Wall. Other highlights like Tower 14 – Cat’s eyes Tower (Maoyanlou), Tower 15 – Fairy Tower (Xiannvlou), Tower 16 – Watching Beijing Tower (Wangjinglou), Tower 17 – Juxianlou, etc. will also attract your attention. Besides, the exhilarating scenery is a real feast to your eyes! So, it is definitely a heaven for photographers. The whole wall is decorated with lights, when the night falls, Simatai Great Wall looks like a giant glittering dragon in waves. This view is totally different from the daytime, which is spoken highly of by visitors. Take a night tour on the Simatai Great Wall with a retro style lantern, bath in the moonlight, and enjoy a time of peace and quiet. 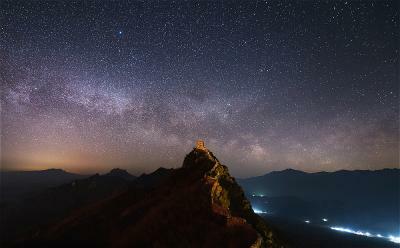 When looking down, you can admire the splendor of the Simatai Great Wall; when looking up, you will feel the sky seems to be so close to the land. Camp at Juxian Tower and observe the countless stars with your love, or wait for the star trails at midnight, record the movements of the stars and moon with your camera. If you get up early, you will have chance to watch the beautiful sunrise and the elegant movement of clouds. 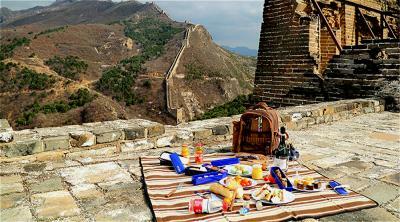 You can also picnic on the Simatai Great Wall, treat yourself with fine food and wine, and toast to this wonderful night. Or have a customized banquet at the foot of Simatai Great Wall. All of these experiences are so romantic, being away from the hustle and bustle city, just like rediscovering your childhood. If you feel exhausted to complete the whole way climbing, a cable car is a good choice to save your energy. 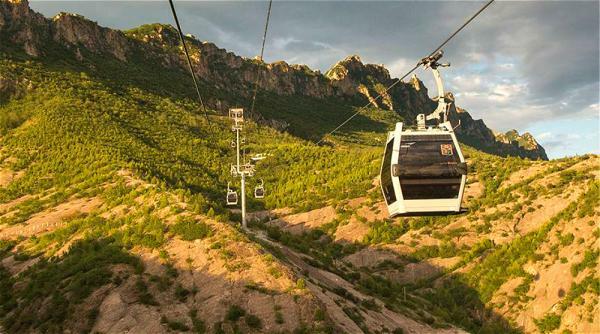 Take a cable car to enjoy the stunning views of the dragon-like Great Wall, the majestic mountains, the lush green forests, the beautiful valleys, the winding streams, the steep cliffs, etc., bath in the warm sunshine and feel the gentle breeze – What an enjoyable Great Wall trip! Or you can try a new way to explore the Simatai Great Wall – helicopter flight. Sitting inside a helicopter, looking down from high above, a bird’s-eye view of the Great Wall is definitely mind blowing. 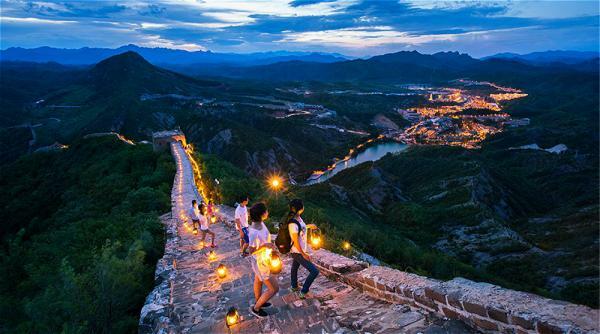 Simatai Great Wall is close to the Beijing WTown, which is a national tourist resort with completed affiliated facilities. In Beijing Wtown (A perfect place where you can spend a happy time with the whole family. 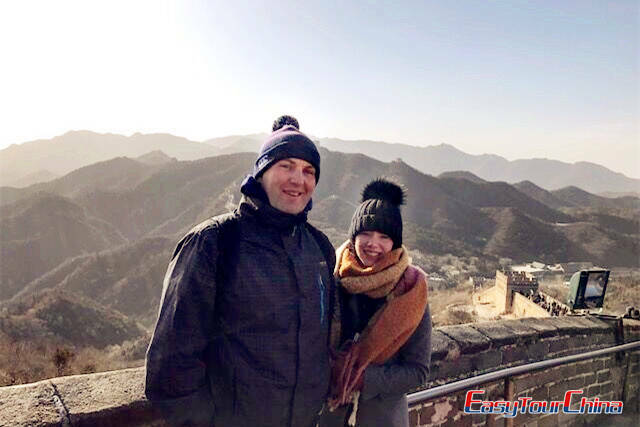 ), enjoy the fun of wandering, having a hot spring bath, skiing, taking a romantic high-altitude hot-air balloon ride to tour the Beijing WTown with your beloved one, etc. 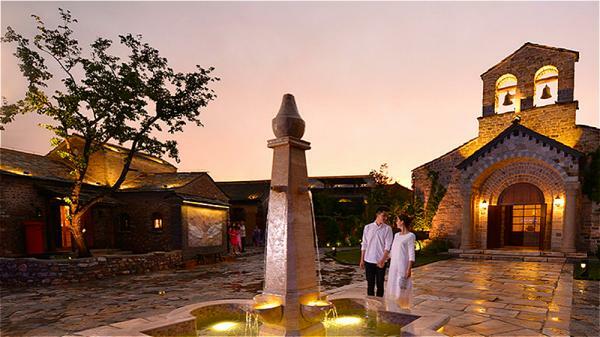 If you want to have a customized memorable and romantic wedding and honeymoon, Simatai Great Wall will give you a surprise. In an elegant Spanish Catholic style Mountaintop Church, the Great Wall will be a witness of the love, pureness and holiness, which will bring blessings to marriages. Besides, there’re honeymoon suites in eastern or western style for you to choose, and various superb gourmet cuisines will provide you a unique and unforgettable dining experience. 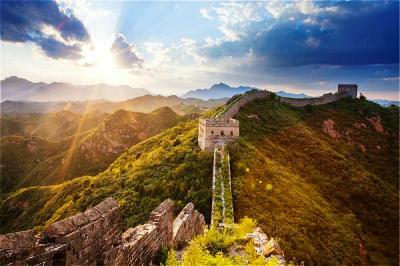 The best time to visit Simatai Great Wall is spring and autumn, because of the warm weather. 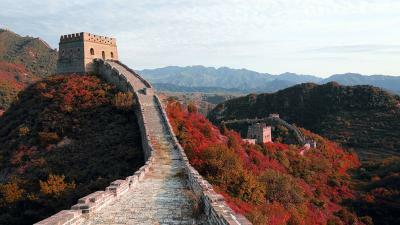 And at that time, the scenery of the Great Wall is the most charming: lost in the green world of spring, drunk in the red maple forests of autumn. CNY 20 for children between 1.2-1.5 meters (3.9-4.9 feet) tall. CNY 20 for the elderly over 60 years old. Free for children under 6 years old (including 6 years old) and children under 1.2 meters (3.9 feet). Take bus No. 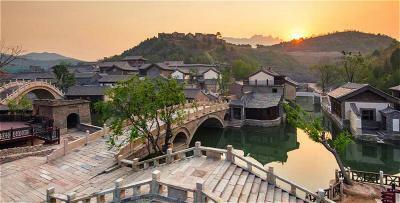 980 from Dongzhimen Bus Station to Miyun County, and then take a mini bus or a taxi to Simatai Great Wall directly. 1. 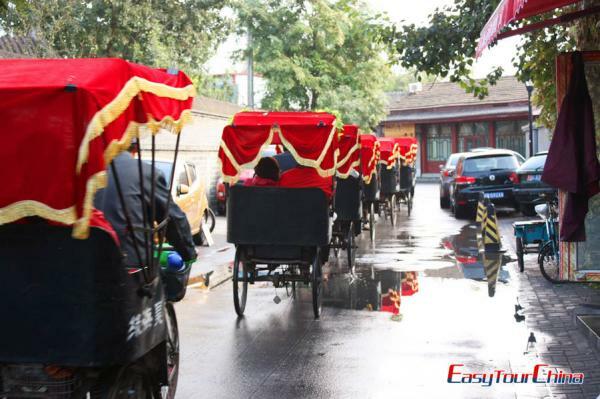 The tourist bus departs at Tiananmen Square Departure Station everyday on 6:00-9:00 a.m.
2. The tourist bus departs at Xuanwumen Departure Station on Saturday, Sunday and China national holidays on 6:30-8:00 a.m.
1. Wear comfortable and skid proof shoes to protect your food and ankle. 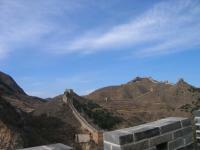 Bring one more jacket to keep warm when you visit Simatai Great Wall in winter. 2. Bring some snacks and bottled water to keep your energy. Especially in summer, I suggest you bring 3 to 4 bottles of water, and do not feel troublesome. 3. There’re various delicacies at the foot of the Simatai Great Wall, which will sure to make your mouth water.